What Is The Biggest Casino in the Bahamas? - Casino Answers! Casino Answers » Casino Trivia » What Is The Biggest Casino in the Bahamas? What Is The Biggest Casino in the Bahamas? There are fewer places in the world more beautiful and relaxing than The Bahamas. The country, which is made up of over 700 small islands, is located in the Atlantic Ocean, not far from the southeastern coast of Florida. The climate plus the views, together with the beautiful beaches and crystal clear seas makes The Bahamas the ideal place to take a vacation and unwind. Of course, there may be only so much lazing around on the beach sipping cocktails that you can do, and you will want to explore what The Bahamas has to offer. Well, as you would expect, the main selling point is the beaches, exploring even just a few of the islands of The Bahamas will immerse you in an older, more rustic culture. And, of course, there are the more vibrant parts, such as Nassau, where you will find a bustling city with a lively nightlife and, perhaps more importantly for you, the biggest casino in The Bahamas – Atlantis Casino on Paradise Island. Of course, while Atlantis Casino is technically in Nassau, you will find it just off the coast of Nassau, on Paradise Island. And Paradise Island certainly lives up to its name, especially when it comes to the Atlantis Casino. Atlantis Casino is over 60,000 square feet of pure luxury, and its size cannot be rivaled when it comes to casinos in the Caribbean, making it the ideal place to unwind and enjoy yourself when in The Bahamas. Being the biggest casino in The Bahamas, Atlantis Casino has a lofty reputation to live up to, and it begins by offering over 90 table games, including the more traditional casino games – blackjack, baccarat and mini-baccarat, roulette and craps – as well as the more modern table games such as Let It Ride, Caribbean Stud Poker and Ultimate Texas Hold ‘Em. The tables are open from 10am until 4am, giving you adequate time to play and enjoy yourself. And if table games are not your style and you prefer to kick back and play the slots, there is a huge selection of over 850 slot machines to choose from, ranging in size from penny slots right the way up to the more high-roller $100 machines. 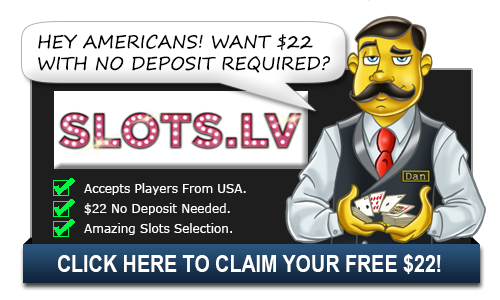 For the slots players out there, Atlantis Casino also offers free slot tournaments daily, as well as the more high-profile slots championships on a regular basis. That being said, you may not have come to The Bahamas to sit inside a dark casino all day, even though you have the urge to play casino games. Well, worry not, because the Atlantis Casino is part of one huge resort, and there is an outdoor, scenic gaming area at Cain at The Cove, where you can play blackjack and mini-craps while sat poolside, taking in the majestic views of the Atlantic from 11am until 6pm. And the beauty of this is that the area is adults-only. And if you want a more nightclub vibe, Sea Glass lounge also has slot machines open from 11am until 1am, and table games running from 5pm until 1am – you can play casino games while enjoying more upbeat surroundings. Away from the gaming tables, there is also a huge sports book and betting area at the Atlantis Casino. It takes up 67 feet, and has over 20 feeds of sporting action from around the world, giving you coverage of anything you may want to place a wager on. And, as you would expect, the high-rollers are well catered for at the Atlantis Casino. Atlantis Casino will go out of their way to ensure that you are treated as well as you would expect, with their top accommodation waiting for you. The Atlantis Casino ticks all the right boxes when it comes to casino gaming in what many people would consider paradise – in fact, it is on Paradise Island, so you should not expect anything less. Given the fact that Atlantis Casino is part of one huge resort on Paradise Island, there may not be any need for you to venture anywhere else: everything you could want is on Paradise Island, from top-class restaurants, to bustling bars and clubs. The biggest casino in The Bahamas is also certainly the best. Casinos in the bahamas, what are the biggest and best casinos in the bahamas?